Code Inspection - Unless you plan to sell your home as-is, the Residential Sale Contract you will sign with a buyer requires the seller to order any Government Code Inspections where they are required for change of occupancy. The buyer of your home cannot move in until getting an occupancy permit, which can only be issued after your property has passed such code inspections. 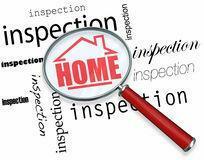 Most areas in St Charles and Jefferson County do not require a code inspection. But all of unincorporated St Louis County, and cities within St Louis county, such as Ballwin, Hazelwood or Florissant, do require a code inspection. Ballwin and Spanish Lake are 2 areas I know of that also require a Fire District Inspection to sell your home. If a code compliance inspection is required, and you plan to list your home soon, I recommend to order this inspection at least a week or two before actually listing. Although the sale contract allows for negotiation on code repairs, it is typical and expected by the buyer and their Realtor for the seller to make the repairs needed in order to obtain minimum code compliance for a re-occupancy permit. Otherwise, you would have to allow the buyer, or their hired contractor, to enter your home to complete the repairs before closing. And buyers are not readily willing to make repairs on a home that they do not yet own. By ordering your code inspection in advance of listing your property, you will know ahead of time as to the cost of any needed repairs. Should a repair be costly, such as an updated breaker box, we would include these major updates in the advertising of your property with the goal of getting a higher sale price. NOTE: Some municipalities require the cited violations to be competed within a certain time frame even if you end up not selling the property. This is rare, but you might want to inquire about this before ordering. Especially if you're considering selling a property as-is, or might not sell unless you get a price you had in mind. Re-inspection - Upon completion of any cited code violations, you will need to call and set up a re-inspection appointment. Sometimes a municipality can get very busy and become back logged on their inspection appointments. So it is best to plan on a tentative completion date for the repairs and call the municipality about a week prior to this targeted date. Then request the re-inspection for a few days after your anticipated completion date for the cited repairs. One re-inspection appointment is included in the $25 to $80 inspection fee that you will have to pay. An additional fee typically is charged if a 2nd re-inspection is needed for any repaired items that still did not pass. A Code Compliance Letter is usually issued once everything has passed. There are time limits on the amount of time you have for ordering the re-inspection and for how long the compliance letter is good for, which is typically 2 to 4 months from the date of the initial inspection. Be sure to ask about this when applying. If your property did not sell within in this time frame, some municipalities will grant a 30 or 60 day extension. To get an extension, a request usually has to be made in writing. If your clear compliance letter has expired, another code inspection will have to be ordered and the fee paid again. But this second inspection will usually always pass if not too much time has elapsed since you had the first one. Before ordering a second code inspection, we would wait to do so until we are under contract with a buyer. Negotiating Code Repairs? If you decide to wait to order your code inspection until an offer is accepted, the sale contract states that the seller shall immediately order any required code inspections. Should there be any code repairs that you are NOT willing to correct, you must notify the buyer in writing within 15 days after acceptance of the sale contract with your buyer. Occasionally, a municipality may have over a 2 week back log on code inspections, making it difficult to meet this 15 day deadline. This is another reason why the code inspection should be ordered at least prior to accepting an offer. If we can't get the code inspection done within the 15 days, we would notify the buyer in writing with an Amendment to the Sale Contract to extend this time period. And typically the buyer and their agent will understand and agree to sign this extension. If you do send written notice to the buyer with a list of any code repairs you're unwilling to correct, then a 10 day negotiation period starts for you and the buyer to reach an agreement on these repairs. Only once out of over 1000 sales, did I encounter the buyer being asked by the seller to assist in making code repairs. If you ask me, I will share this story with you. Some owners will briefly consider renting their property if having difficulty in selling it or a lot of repairs come up. But before you could let a tenant move in, you would still have to correct the minimum code repairs as an occupancy permit is still required for a new tenant. Then some owners may consider selling the property as-is so as to not have to be bothered with code requirements or buyer requested repairs from their personal inspection of your home. We can certainly change pace and advertise the property to be sold as-is. But to do so, a property will need to be priced 80% to 70% off of the normal market value to attract the type of buyers who purchase as-is properties. Unless a property has been extremely neglected, the repairs needed to get to a successful closing typically do not cost anywhere near the 20 to 30 percent discount needed for an as-is sale. Sellers choose to sell as is when funds are not available for making repairs, or a quick sale is desired more than the desire to get more money. Or if the home is in need of major renovation to sell at normal market value. Repairs often cited are: Replace cracked window panes. Scrape and paint any exterior wood surfaces with peeling paint. Painting of a rusty fence. Missing or loose hand rails at steps. Sealing cracks in a sidewalk or driveway. Trimming tree branches too close to the home. Rusted basement window frames will need to be painted. A railing is required for any deck or porch over 36" tall. Obvious roof, electrical or plumbing code violations will be cited. Typical plumbing violations are missing shut-off valves at the commode or at water supply pipes to sinks, or a flexible rubber hose used for water supply. Typical electrical violations are ungrounded 3-prong outlets (just change to 2 prong outlets). Wires not in conduit or wires run below basement rafters instead of through the rafters. Not having GFCI (Ground-fault Circuit Interrupter) outlets in the basement, garage, at exterior outlets or within in 6 feet of water faucets in your kitchen or bathrooms. Florissant requires all outlets above a kitchen counter to be GFCI protected, even those beyond 6 feet of a water supply. Spliced wires must be in junction boxes. And a garage door opener must be plugged directly into an outlet, it cannot be on an extension cord. If your exterior electrical service entry cable is severely weathered or has deteriorated insulation, replacement will be needed, and usually runs about $350 to $500. An electrician is not allowed to replace the entry cable without also replacing the breaker box if it is dated and not to current code. Below is information on ordering a code inspection yourself. If you would like for me to order it for you, just let me know. A few municipalities don't allow anyone other than the owner to apply. Appointments are usually set on weekdays, not on Saturday or Sunday. I can also meet the inspector for you when required if difficult for you to attend due to your work schedule. But it can be beneficial for you to attend your code inspection. 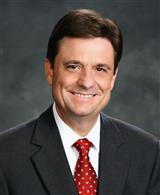 Should you be unsure as to how to correctly repair a cited violation, you can ask the inspector face to face. For questions about a repair, I may be able to provide insight on how to properly complete a repair as I see about 50 of these code inspections every year. But if I'm not exactly sure myself, you should call the inspector yourself for clarification to avoid my incorrectly relaying spoken information. Most municipalities provide a copy of the inspection report at the time of inspection. Some municipalities will type up and mail the inspection report. I suggest having it mailed to me for my records, and I will scan and email you a clear copy. A few municipalities email the completed report. If so, have the email sent to both of us. Provide them with: stevestud@Realtor.com. If a fax is needed, my office fax number is 314-831-9502. A cover letter will be needed. If your property is completely vacant (with no personal belongings), an inspector is allowed in some areas to do the inspection without anyone needing to be present - ask about this at the time of application. I can then place a combination lockbox on your property for access. We would then provide the inspector with the lockbox combination when filling out the application for the inspection. The inspection report will be left on the kitchen counter for either you or I to retrieve. If you're available, you may still want to meet the inspector for a face to face explanation on repairing cited violations. If your property is located in an Incorporated City, such as Florissant or Hazelwood, you will need to order and pay for the inspection in person at your city hall. The fees range from $25 to $60 and an appointment is usually scheduled at the time of your visit. Due to insurances reasons, most municipalities require that someone be present, even if the home is vacant - ask at the time of application. If you want me to attend the inspection appointment for you, please check with me in advance of your visit to city hall and I will let you know my availability. For properties in Un-incorporated St Louis County, you need to visit the nearest government center in person from the list I have provided below. You should plan to get there not much later than 3:30pm as they do not accept payment for the $80 application fee after 4pm. Also plan not to visit when they are closed for their lunch hour. An appointment is not set at the time of the application. The assigned inspector will call you within the next 1-3 days, between 7am and 8am, to schedule the day and time of the inspection. 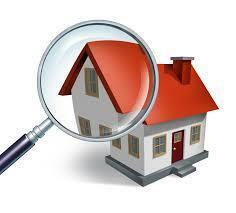 If your property is not completely vacant, someone is required to be present during the inspection. And if it is not convenient for you to attend due to your work schedule, I can meet the inspector for you. Then you would need to enter my name and phone on the application as the person to call to schedule the inspection appointment. On a vacant property - St Louis County WILL inspect a property that is completely vacant (with no personal belongings) without anyone needing to be present. If you don't want to attend, or are unable to attend the inspection on your vacant property due to your work schedule, I can provide you with one of my combination lockboxes. Or please give me an access key and I will place the lockbox on your property. Then write on the application "Vacant, Lockbox combo = xxxx." I will provide you with the combination. Also write somewhere on the application, or ask the receptionist, a request for the inspector to still call and inform you of the inspection date. Please provide me with a copy if you plan to pick up the report yourself. Or let me know the inspection date and I can retrieve it and email you a clear copy. 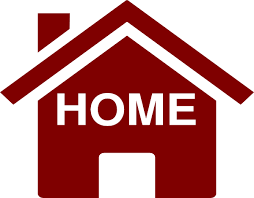 Click here to Print a Brochure for "Information About Re-Occupancy Permits"
Click here for a "Home Inspection Checklist"
The St Louis County Inspection can also be ordered on-line. If you are not comfortable with doing this yourself, just ask me to do it for you. The site will require the $80 fee to be put on a credit card, and you can reimburse me anytime. Click here for Instructions to apply on-line yourself.